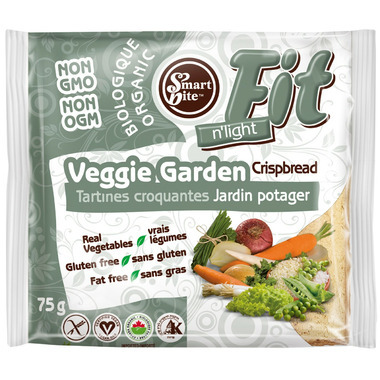 The tastiest organic garden vegetables have been selected to develop this innovative snack full of real flavours. Crispbreads will melt in your mouth thanks to their distinctive lightness. Enjoy this healthy versatile snack with your favourite spread or topping as a light lunch or anytime snack! The taste was fine, but I found that this snack did not satisfy my snack attack and although it seems to be good for you i will not be buying this again.